This post is sponsored by Del Monte Pure Earth Juice. All thoughts and opinions are mine. There is a magical place where princesses live and mice rule the land. 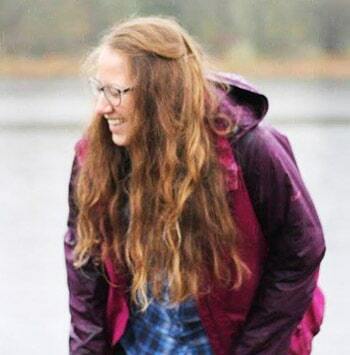 I miss it EVERY DAY. One of the things I LOVE about that place is their PINEAPPLE WHIP. Did y’all hear that the stupid groundhog said we have more winter? So I’m objecting by sharing this recipe that tastes like the happiest place on earth… a place that makes me think of sun and summer and then I turn into a little tiny snowman who LOVES SUMMER. Oh. And best part? It’s stupid easy. Like 4 ingredients simple. Listen to this. 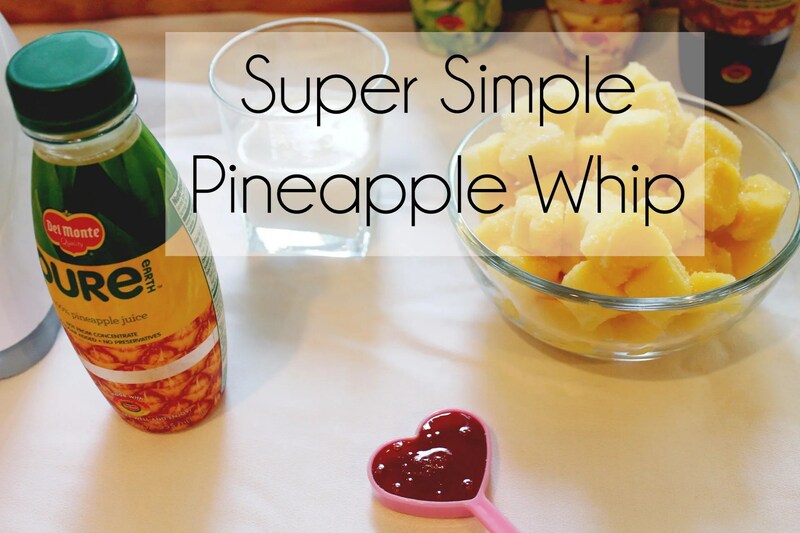 Blend the pineapple, almond milk & honey until it becomes like a sherbet. 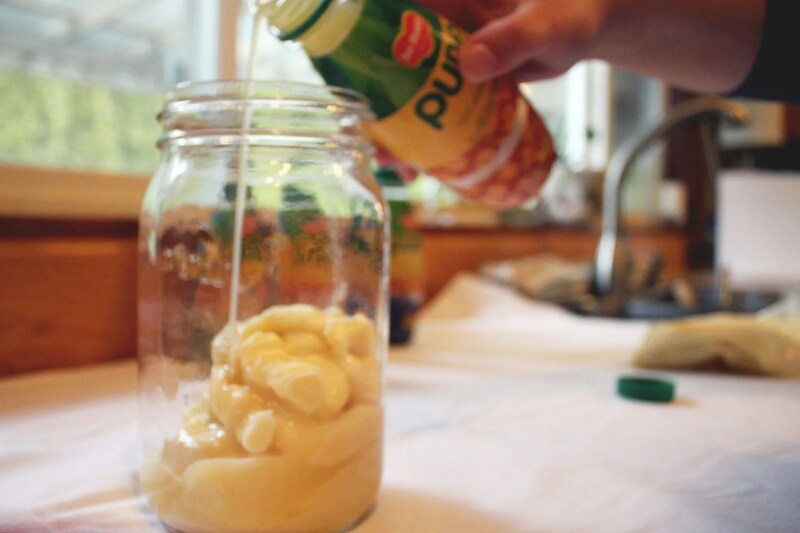 Pour the creamy pineapple whip into a jar. 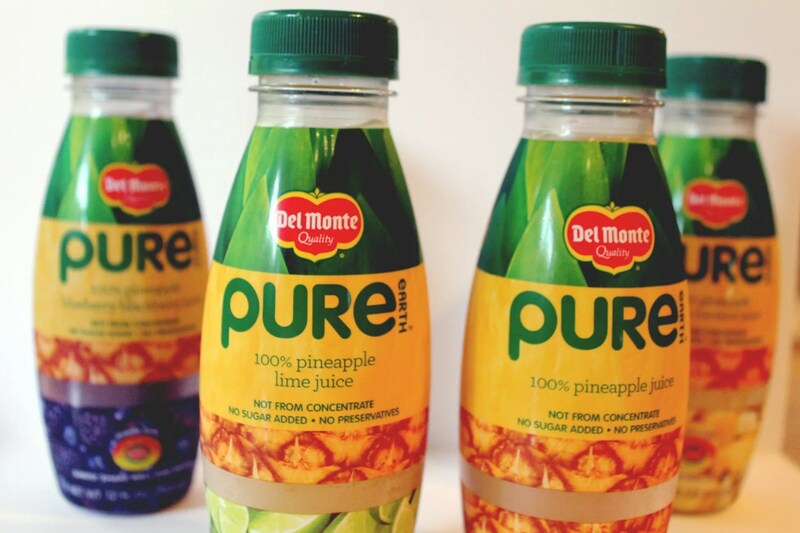 Top it with Del Monte Pure Earth Pineapple juice. Pineapple Lime, Pineapple Banana Coconut (YUM! ), Pineapple Blueberry Blackberry. Perfect for bringing a little bit of summer to the cold days of winter. Stupid easy peanut butter chocolate chip cookies.